The Young Agency was originally established in 1923 as the CCB Kutts Agency. In 1948, Willis A. Young bought it and changed the name to W.A. Young, Inc. Then in 1966 Bernie Young joined the family business, developing strong community relationships and a local, conscientious staff. 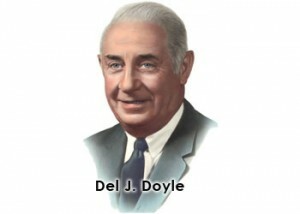 In 1984, Del J Doyle of Doyle & Ogden Insurance Advisors in Grand Rapids, purchased the agency from Bernie, maintaining both the Young Insurance name and dedicated employees. The Young Agency built its reputation over the years as a leading provider of insurance protection in the nothern Kent County area. That commitment is as strong today as it was over 90 years ago including now all of Michigan as well as an Illinois, Indiana and Ohio presence. The foundation of our business is built on integrity, experience, and our long term relationships with our carriers and most importantly our customers. We consistently seek to increase our market share, to create and enter new markets. Our specialty programs include Salvage Yards, Hotel/Motel, and School Employees.